The brightness of your computer monitor might not be something you consider. But it’s very important for the health of your eyes. We’re going to show you how to customize everything about brightness on Windows 10. 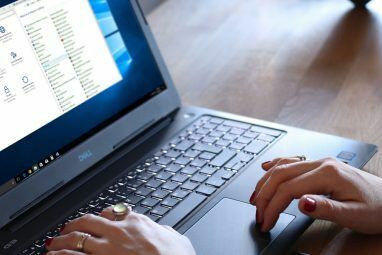 Adjusting the display settings on a new computer is a basic task. If you get eye strain or headaches, the display brightness could be the culprit. It’s easy to adjust the levels manually or automatically based on battery life, power plan, or surrounding light. If you have your own tips to share about Windows brightness, let us know in the comments. Press Windows key + I to open Settings and go to System > Display. Beneath Brightness and color, use the Change brightness slider. To the left will be dimmer, to the right brighter. If the slider is unavailable, it’s one of two things. If you’re using an external monitor then use the buttons on that to adjust the brightness. Otherwise, you need to update the display driver How to Find & Replace Outdated Windows Drivers How to Find & Replace Outdated Windows Drivers Your drivers might be outdated and need updating, but how are you to know? Here's what you need to know and how to go about it. Read More . To do this, press Windows key + X and click Device Manager. Expand Display adapters and then right click your graphics card. Click Update driver and follow the wizard. Lowering your brightness can help get more juice from your portable device’s battery. Windows 10 has a battery saver feature that can automatically lower your brightness when enabled. To enable this, press Windows key + I to open Settings and go to System > Battery saver > Battery saver settings. Tick Turn battery saver on automatically if my battery falls below and use the slider to adjust what percentage battery level you want the feature to enable itself at. Finally, tick Lower screen brightness while in battery saver. It’s not possible to set what brightness level is used, but hopefully, Microsoft will add that in a future Windows 10 update. You can have different brightness depending on whether your computer is charging or running off the battery. To conserve battery, set a dimmer brightness level when it’s not plugged in. To do this, press Windows key + R to open Run, input control panel, and click OK. Go to Hardware and Sound > Power Options and click Change plan settings next to your selected plan. Use the Adjust plan brightness slider to set your On battery and Plugged in levels. Once done, click Save changes. 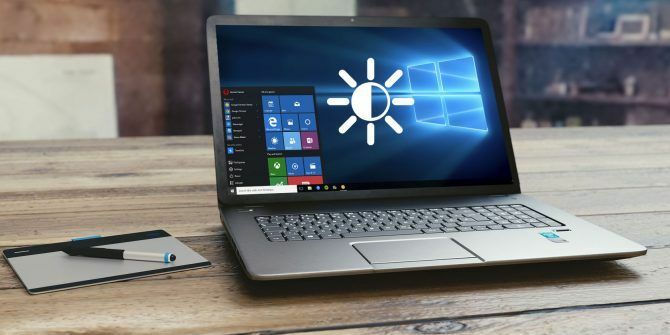 If you want some more power saving advice, see our guide for how to optimize Windows 10’s battery How to Optimize Windows 10 for Battery Life How to Optimize Windows 10 for Battery Life Battery life is a pretty important factor for mobile devices. While Windows 10 does offer new features to manage power settings, the defaults are not necessarily contributing to optimal battery life. Time to change that. Read More . Ideally, your monitor brightness should match the light around you. One way to help with this is to have the brightness automatically change based on your ambient light. This feature is only enabled if your device has a brightness sensor. To enable it, press Windows key + I to open Settings and go to System > Display. If you can see Change brightness automatically when lighting changes, switch it to On. If you can’t see this, you don’t have the sensor. An even better way to adjust this is through the Control Panel because you can set it dependent on your power plan. Press Windows key + R, input control panel and click OK.
Once in the Control Panel, go to Hardware and Sound > Power Options > Change plan settings > Change advanced power settings. Expand Display > Enable adaptive brightness and use the dropdowns to set it for On battery and Plugged in. 1. If you’re using a laptop, you probably have keyboard shortcuts to turn your brightness up and down. Check out the function keys—brightness is commonly represented by a sun icon. 2. Another shortcut to quickly adjust brightness is by clicking the Action Center icon in the taskbar (or press Windows key + A.) Click the brightness tile to cycle through in 25 percent increments. If you don’t see the icon, press Windows key + I, go to System > Notifications & actions > Add or remove quick actions and slide Brightness to On. 3. Want a good third-party utility? Check out the Windows 10 Brightness Slider. 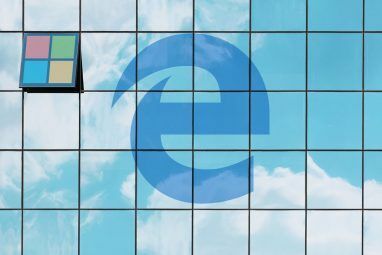 This lightweight utility will add a brightness icon in your system tray How to Add a Brightness Slider to the Taskbar in Windows 10 How to Add a Brightness Slider to the Taskbar in Windows 10 Windows 10 doesn't have a brightness slider in the Taskbar. If you'd like to add a convenient button for adjusting your brightness, here's an easy method. Read More , which you can then click to adjust your brightness on a slider, much like how the volume icon works. Head over to the GitHub project, download the file, and open it. It’ll automatically go into your tray. If you want it to always be there, right-click the icon and click Run At Startup. Hopefully, you’ve learned something new here about how to control your brightness settings on Windows 10. Remember, the correct brightness settings can help your eyes and mind, so why not read about the ideal laptop posture too? With brightness sorted, you may want to check out your monitor’s color temperature. The light from our screens apparently causes sleep problems and so you can use programs like f.lux or Windows 10’s Night Light feature f.lux vs. Windows 10 Night Light: Which One Should You Use? f.lux vs. Windows 10 Night Light: Which One Should You Use? If you want to reduce eye strain, start with Windows 10! We show you how Night Light and f.lux filter blue light and can help you get better sleep. Read More to help combat it. 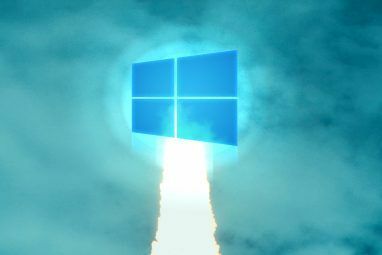 Explore more about: Performance Tweaks, Windows 10, Windows Customization. 5 Ways to Transfer Data From PC or Laptop to Android PhoneWhat Is a Windows Domain and What Are Its Advantages?